Global investment in renewable energy varies from year to year, but is generally on an upward trend. The upward trend is set to continue as investors increasingly adopt longer-term investment time horizons. According to Bloomberg New Energy Finance, global markets saw 3 percent growth in clean energy investment, to more than $333.5 billion, in 2017. This compares to a total of $279.8 billion from the Renewable Energy Policy Network of the 21st Century (REN21). REN21 says overall investment grew modestly in 2017, up from $274 billion in 2016. Developing and emerging economies grew their investments by 20 percent to $177 billion. Investment in developed countries fell by 19 percent, amounting to $103 billion. 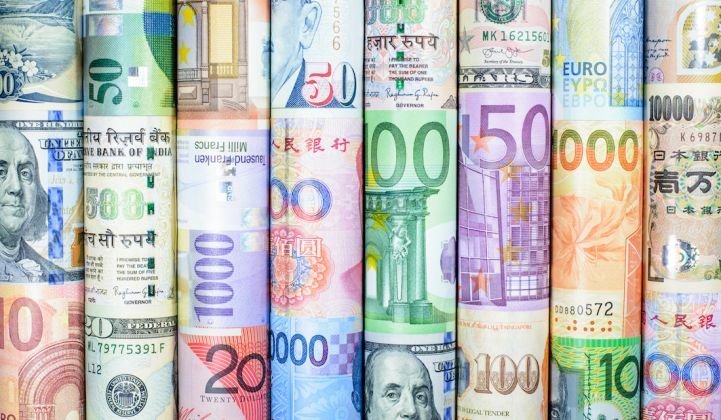 Total global investment figures in 2018 will likely be on par with 2017 totals. Clean energy generation, meanwhile, reached an all-time high in response to falling costs, outpacing fossil energy generation. The lower investment figures are a result of the dropping costs of project development. These trends were set to continue as investors increasingly adopt longer-term investment time horizons rather than focusing on short-term returns. Some of the world’s largest pools of capital, including institutional investors managing more than $17 trillion in assets, now see climate change as an investment priority. In the U.S., financial institutions say they could double their planned investments in renewable energy, with the potential to mobilize $1 trillion in cumulative private capital by 2030. At the same time, 60 percent of Fortune 100 companies have set goals to increase the use of renewable energy in their operations. Adoption of corporate wind and solar power-purchase agreements has accelerated. In July 2018, Bloomberg New Energy Finance reported that corporations had already beaten the previous annual record for the procurement of clean energy for their operations. U.S. corporate renewables procurement is on track to surpass 5 gigawatts by December 2018, according to Rocky Mountain Institute figures. The oil and gas sector has the potential to significantly alter global renewable energy investment, particularly if companies opt to invest in low-carbon operations in response to growing concerns over the impact of manmade climate change. 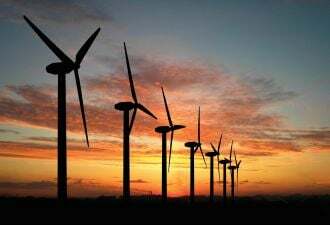 According to Goldman Sachs, the investment required for that low-carbon transition in the renewables space equates to $9 billion, or just 9 percent of oil and gas majors’ 2019 capital expenditures. Majors account for a 15 percent share of the global oil and gas market. If those majors want to capture the same market share in renewables, it would require them to collectively invest $200 billion, or $20 billion per year, according to Wood Mackenzie. To reach $20 billion in annual renewables investment, oil and gas majors would have to build 20 gigawatts of solar, 16 gigawatts of onshore wind or 7 gigawatts of offshore wind. If majors bought already-developed projects, they would need to amass 8 gigawatts of solar, 6.7 gigawatts of onshore wind or 4 gigawatts of offshore wind. So far, no investment from majors in clean energy technologies has come close to their oil and gas investments, which can amount to up to $10 billion annually, depending on the company. European majors have begun to move toward more renewable investments, though. Goldman believes that by 2030, those companies will spend 10 percent of their capital expenditures on renewable energy. China, Europe and the U.S. are the top three markets for renewables investment. They accounted for 74 percent of global renewable energy investment in 2017, according to REN21 estimates. China accounted for 45 percent of global investment last year, up 10 percent from 2016, REN21 figures show. The country also leads on transportation electrification. Though electric vehicles account for only 1 percent of car sales globally, China is the world’s largest market. Europe saw 15 percent of global renewables investment in 2017, according to REN21. The region is also a major source of global investment, with the European Investment Bank earmarking €4.3 billion ($5.1 billion) for energy sector initiatives in 2017. REN21 data shows U.S. renewables spending fell 6 percent in 2017, to $40.5 billion, which accounted for 14 percent of the global total. But investment seems to be on a generally upward trend, with 8.5 gigawatts of utility PV projects announced in the first half of 2018. Although global renewable energy investment is growing, it must increase at a significantly faster rate if society is to reduce carbon emissions to the level recommended by the United Nations Intergovernmental Panel on Climate Change (IPCC). Wood Mackenzie estimates the point at which renewable electricity outpaces oil and gas won’t happen until 2035, five years too late to achieve the drastic changes set forth by the IPCC.